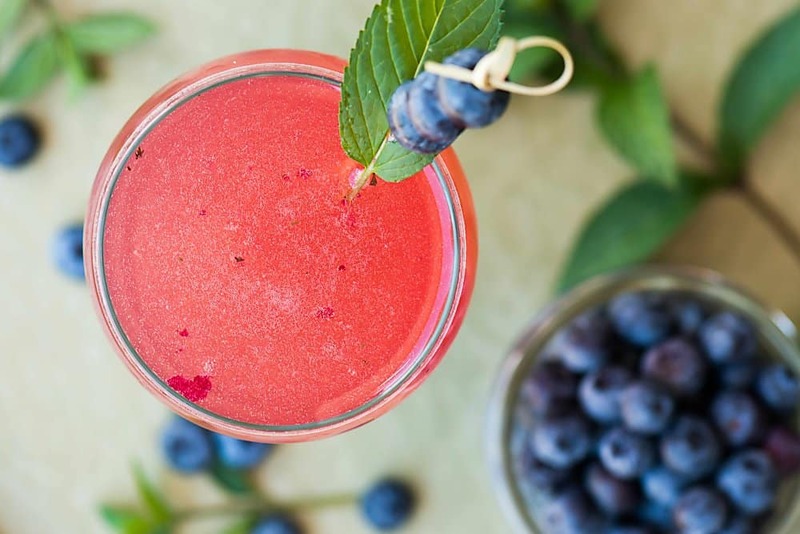 Combine fresh summer fruit and herbs along with a light and refreshing Prosecco and you end up with this tasty Blueberry Mint Cocktail! If you know me, you know I love pairing fresh fruit with fresh herbs. There might not be a better flavor combination on this earth, if you ask me. The combination of sweet, juicy, tart fruit paired with the earthy freshness of herbs delights all of my senses. 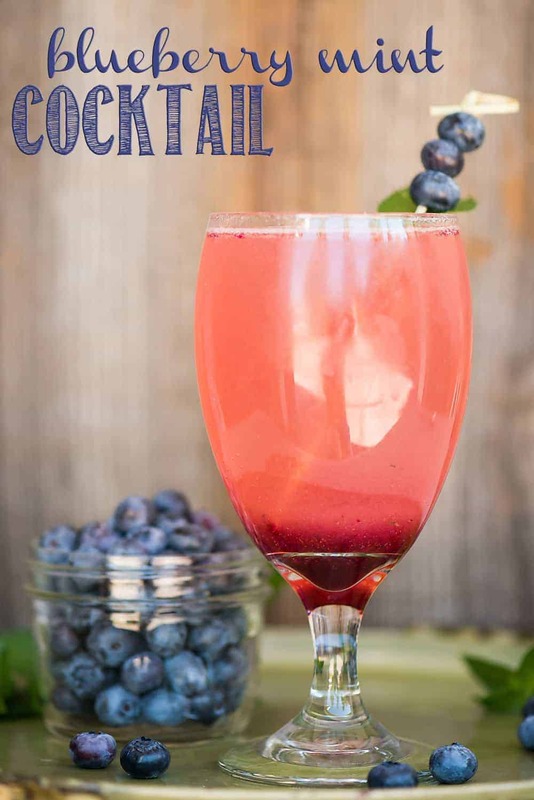 This is one of the many reasons I absolutely love this Blueberry Mint Prosecco Cocktail. 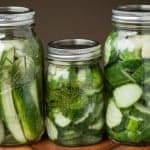 It’s a fantastic summer cocktail that can be enjoyed any time of day, but this time I served it with a full brunch spread. Riondo Prosecco makes brunch a bit more bubbly. 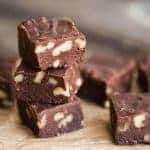 Is your mouth watering, or what? Prosecco is a white sparkling wine from Italy. Like Champagne, the name Prosecco refers to a specific region and grape – in this case, glera grapes grown in the north-east Veneto region of Italy. 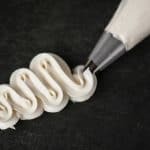 Prosecco has taken off recently among consumers due to its approachable style – it is usually light, fruity, with some sweetness. Riondo Prosecco is the official founder and sponsor of National Prosecco Day. This year, National Prosecco Day is all about brunch. It’s the perfect excuse to host a casual, laid back brunch with friends. Italians take the entire month of August off. I’m beginning to think I need to move to Italy! In keeping with that tradition, National Prosecco Day on August 13 is the perfect opportunity to experience summer the Italian way. 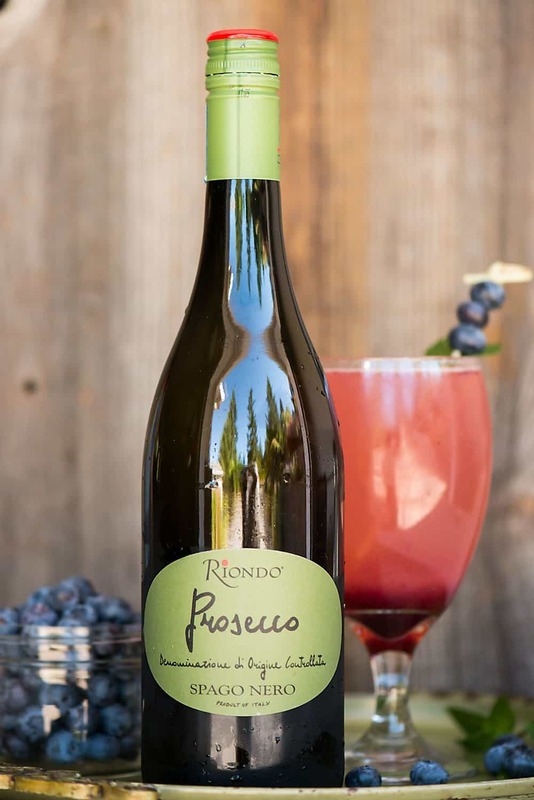 With its palette-cleansing bubbles, flavor and affordable price, Riondo Prosecco Cocktails are the most authentic Italian way to celebrate National Prosecco Day! 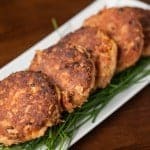 I’d love to hear all about your favorite brunch items! 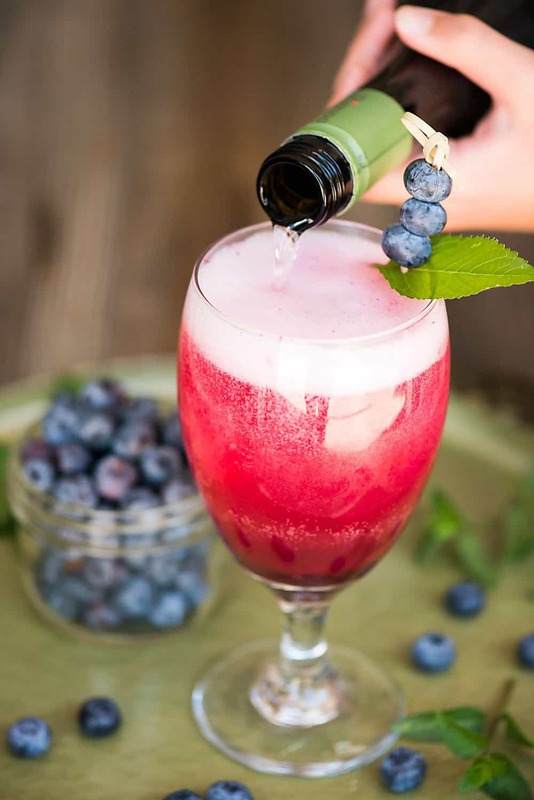 Combine fresh summer fruit and herbs along with a light and refreshing Prosecco and you end up with this tasty Blueberry Mint Cocktail! In small saucepan over medium heat, combine simple syrup, blueberries, and dried mint. Allow to cook until blueberries burst and the mixture is fragrant. 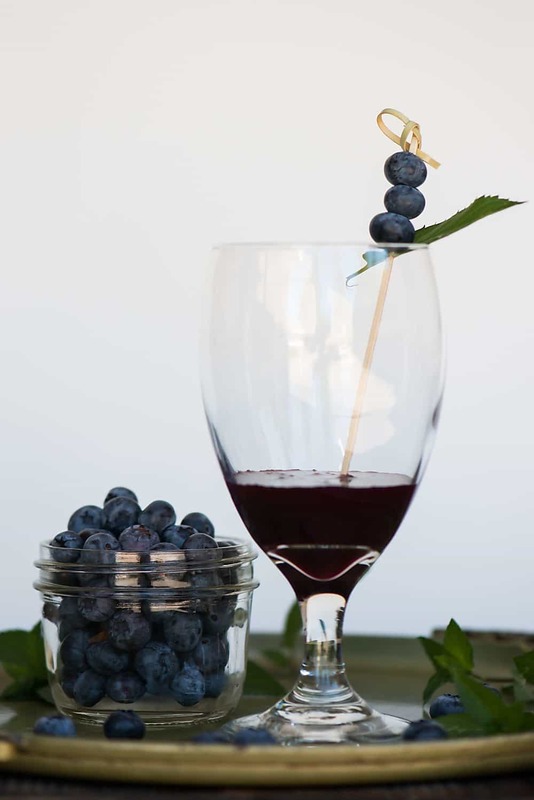 Remove from heat, press through a fine mesh strainer, discard solids, and chill blueberry mint syrup until ready to use. 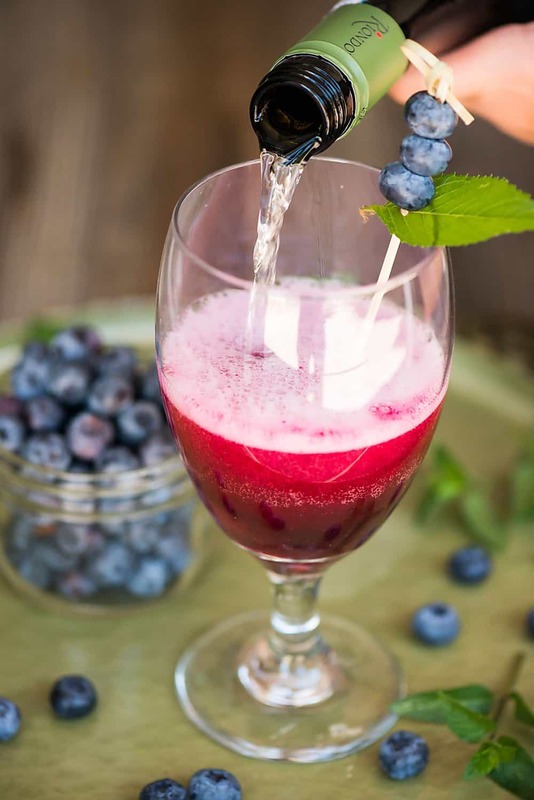 To serve, divide blueberry mint syrup between two glasses and top with chilled Riondo Prosecco. Oh wow, this drink looks delicious! 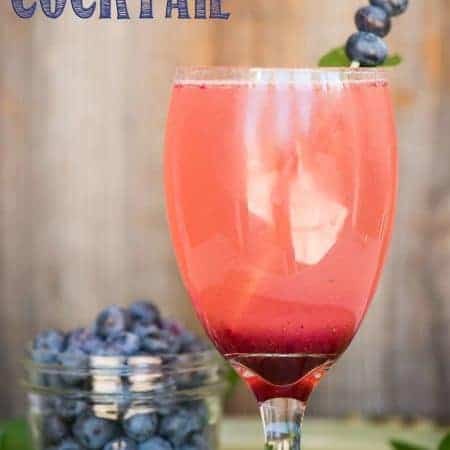 I would totally make this cocktail for occasions like baby shower, brunch, or just because I want it. HA! Love the photography, great job!